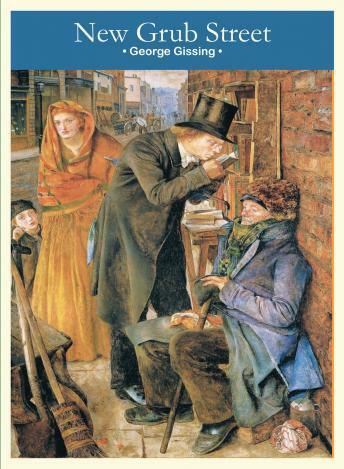 One of the greatest novels to have come from the 19th Century, a realistic gritty exposure of the lives, loves, intrigue and rivalry that existed in the literary world of London. The art form and culture of writing is becoming a business, expanding rapidly, and profit is more important than integrity of purpose. In the search for a wider readership, editors and publishers look to the poorer educated classes believing that shorter, slighter commercial treatments will sell and thus erudite writers with serious ideas and ‘urgent messages for the world’ have their work devalued. The downward intellectual spiral is of course contrasted by the progress of lightweight, jobbing writers able to turn their pen, with ease, to any task and supply copy with trite, popular appeal. Gissing knew his subject well and his characterization of the facile, unscrupulous Milvain, the rancorous Yule, the paranoid and impoverished Reardon all have the note of authenticity as do the women used and abused by them in their struggle for success and the publication of their work. Truly one of the books from which we should learn, monumental in the telling, the story is an engrossing tale, describing a shabby Pyrrhic victory, at the expense of all those with a reasoning mind, of self advertisement over artistic endeavor in an ongoing war- of what happens when pen meets penury. This story will capture and uplift the hearts of every listener. This bitter 1891 tale illustrates the cry of struggling writer, Reardon, as his life disintegrates: ‘to make a trade of an art is a brutal folly’. Unable to squander his talent and write saleable ephemera’ Reardon drags himself and his wife into abject poverty. Superb narration.